Meet the executive team and the medical advisory board responsible for advancing BluePearl's mission. Bringing a diverse array of experiences, our leadership team has helped BluePearl become the fastest-growing network of specialty and emergency animal hospitals in the country. 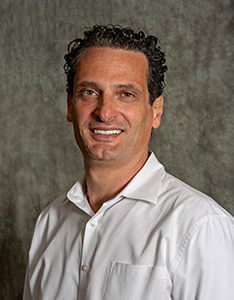 Darryl earned an undergraduate degree in international commerce from Brown University and an MBA in finance and marketing from Northwestern University’s Kellogg Graduate School of Management. At home, Darryl’s family includes two energetic pups: a yellow lab and a Dalmatian. When people bring their babies to us, they’re part of the family. And we want to ensure that we’re delivering the most remarkable care. Bilal oversees operations for all of BluePearl’s hospitals. He came to BluePearl from CVS Health, where he started as a pharmacist in 2002 and advanced to a leadership role in which he led over 5000 associates at 144 pharmacies. Bilal earned a bachelor’s of science degree from Wayne State University’s College of Pharmacy. In his free time, he enjoys reading, running and spending time with his wife and three kids. Jimmy directs medical operations at BluePearl’s family of specialty and emergency hospitals. A native of northern Louisiana, Jimmy holds undergraduate and veterinary degrees from Louisiana State University. 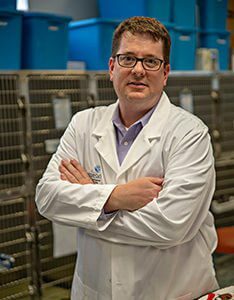 He was a staff criticalist at Florida Veterinary Specialists (BluePearl’s original hospital), then left to teach at Texas A&M University in 2009. He returned to BluePearl in 2017 to serve as a Group Medical Director, before becoming our Chief Medical Officer. Clint oversees finance, accounting, analytics and purchasing for BluePearl. He came to the company after more than 10 years at Banfield Pet Hospitals where he was a senior director. He’s a graduate of Boise State University, with a bachelor’s degree in business administration in accounting and finance. When he’s not working, Clint enjoys time with his wife and their three busy children – and rooting for his alma mater’s basketball team. Joo joined BluePearl in 2015 and directs marketing strategy, digital marketing, veterinary relations, communications, customer experience and creative services. She holds a bachelor’s degree in public relations from the University of Minnesota and a MBA from the University of California, Los Angeles. 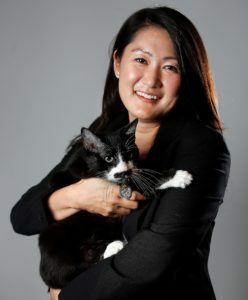 Joo lives in Tampa with her husband, two children and a long-haired cat named Grumpies. 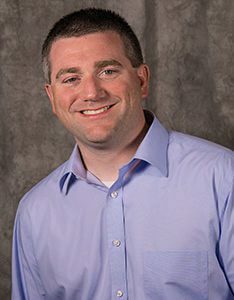 Jeff joined BluePearl in 1999 and is responsible for BluePearl’s technology strategy and managing overall IT operations. He’s a graduate of the University of Florida with a bachelor’s of science degree in management. Jeff enjoys time with his wife, two sons and his two dogs, Striker and Keeper. Yolanda oversees all of BluePearl’s legal matters. She holds a master’s degree in tax law from the University of Florida and is a graduate of Stetson University College of Law. Yolanda is active in the community, as a member of the Ronald McDonald House’s Red Shoe Council and the board of directors of the Boys and Girls Club. A Florida native, Yolanda enjoys spending time in the sunshine with her husband and two children, and their three dogs. Angela is responsible for leadership, vision and strategic planning in the People & Organization area, which includes associate relations, recruiting, compensation, benefits and talent and learning. A Wisconsin native, she received her undergraduate degree in psychology at the University of Wisconsin-LaCrosse. Angela enjoys spending time with her husband and two kids. She loves running, going to the beach and traveling. BluePearl’s Medical Operations Advisory Board (MOAB) guides medical operations for the company. It’s a great privilege to work with some of the brightest minds and biggest hearts in the profession. Their dedication to providing remarkable care for pets is inspiring. Lauren joined BluePearl in 2011 and works in our Michigan hospitals. She is board-certified in internal medicine. 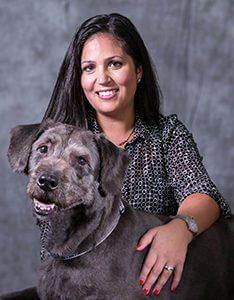 She completed her residency in internal medicine at Animal Medical Center in New York City and her internship in small animal medicine and surgery at Veterinary Referral and Emergency Center in Norwalk, Connecticut. She earned her DVM from The Ohio State University in Columbus. When she’s not working, Lauren enjoys reading, cooking, horseback riding and hanging out with her husband, son, two cats named Cody and Clancy, and her Jack Russell terrier named Tucker. Meredith is the Director of Medical Quality for BluePearl. She has been the co-director of critical care at BluePearl’s Midtown hospital in New York since 2007. 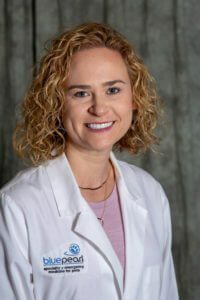 A graduate of the University of Pennsylvania School of Veterinary Medicine, Meredith completed a rotating internship in small animal medicine and surgery at the University of Pennsylvania in 2004. Following her internship, she completed a residency in small animal emergency and critical care at the University of Pennsylvania in 2007. She became board-certified by the American College of Veterinary Emergency and Critical Care in 2007. 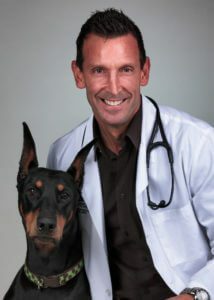 Mark is one of the founding partners of Georgia Veterinary Specialists, which merged with BluePearl in 2010. He serves on BluePearl’s board of directors and continues to act as medical director of BluePearl in Georgia. 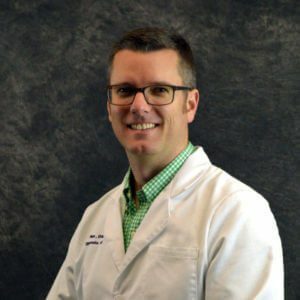 Board-certified in internal medicine, Mark completed his residency at the University of Georgia in Athens and his internship at Louisiana State University in Baton Rouge. 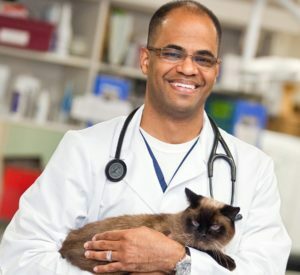 He earned a master’s degree from University of Georgia and his DVM and undergraduate degrees from the University of Florida in Gainesville. Mark loves spending time with his family and his dog, Titan. He also enjoys traveling, sampling restaurants around Atlanta and weight training. After graduating pre-med from Johns Hopkins University, Karena knew her passion for medicine combined with a deep affection for animals would suit a veterinary career. She received her veterinary doctorate from the University of Pennsylvania. Her interest in emergency medicine was cultivated during her internship at Michigan State University where she received recognition as Intern of the Year. 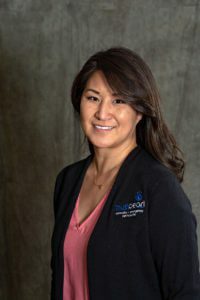 Karena serves as Medical Director of BluePearl’s Rockville hospital. A self-proclaimed foodie of the D.C. area, she spends her spare time with her husband, their Chihuahua and the two best cats in the world. Erick has been with BluePearl and its predecessor, Florida Veterinary Specialists, since 1997. Erick earned his undergraduate degree from Stanford University and his DVM from Tuskegee University in Alabama. Board-certified in veterinary internal medicine, Erick completed his residency and his internship at the University of Tennessee in Knoxville. Erick enjoys spending time with his family and Bosco, the family cat. 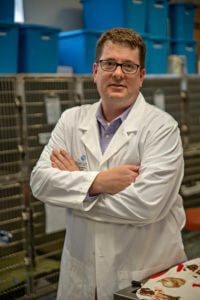 Anthony is the Medical Director at Pittsburgh Veterinary Specialty and Emergency Center (PVSEC), which became a BluePearl hospital in 2017. He earned his master’s degree and his DVM from the University of California, Davis. After an internship at the Animal Medical Center in New York City, he completed a residency program in small animal surgery at the University of Tennessee. In 1993, he moved to Pittsburgh and established Pittsburgh Veterinary Surgery P.C. 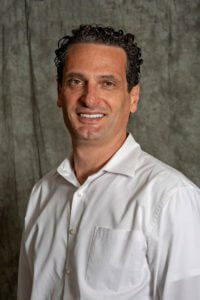 Anthony has authored more than 20 articles and veterinary textbook chapters and lectured extensively on various topics related to small animal surgery at national and local veterinary conferences. 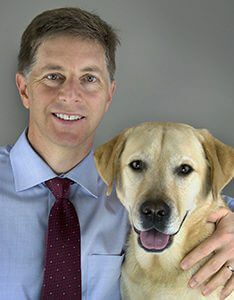 He continues to work as a veterinary surgeon at PVSEC in addition to his duties as an adjunct assistant professor of orthopedic surgery at University of Pittsburgh. In his spare time, Anthony enjoys the outdoors, fly fishing, biking and is an avid bowler. 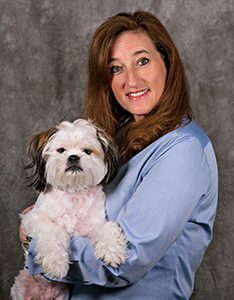 Laura was an owner and co-hospital director of Veterinary Specialty and Emergency Center (VSEC) in Pennsylvania, which became a BluePearl pet hospital in 2015. 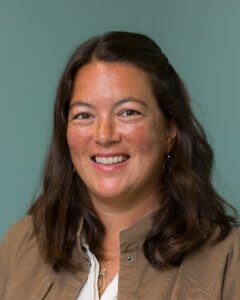 Board-certified in veterinary emergency and critical care medicine, she is particularly interested in blood coagulation and management of shock and trauma patients. 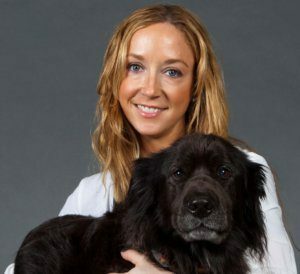 Laura earned her undergraduate degree from Connecticut College and her DVM at Tufts University. She completed her internship, fellowship and residency at the University of Pennsylvania. When she’s not working, Laura enjoys playing Ultimate Frisbee, hiking, traveling and spending time with her dog, Ginger Snap, and cat, Perry. 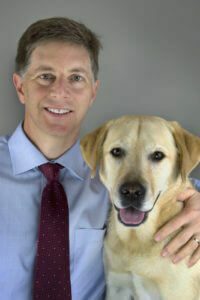 Kent joined Seattle Veterinary Specialists, a BluePearl pet hospital, after spending 12 years as a Veterinary Corps Officer in the U.S. Army. 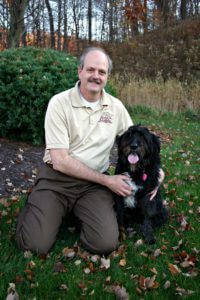 Originally from Michigan, Kent earned his undergraduate degree in Animal Science and his DVM from Michigan State University. After completing an internship at Rood and Riddle Equine Hospital in Lexington, Kentucky, he entered active duty military service at Fort Hood, Texas, where he served as veterinary treatment facility officer in charge. Kent deployed to the Middle East in support of Operation Iraqi Freedom in 2003. He was then selected to complete a small animal surgical residency at North Carolina State University, where he also earned a Master’s of Specialized Veterinary Medicine degree. Kent became a Diplomate of the American College of Veterinary Surgeons in 2010. He also served as the Chief of Veterinary Services in Okinawa, Japan and most recently Director of Dog Center Europe, the Army’s premier veterinary referral hospital in Germany. 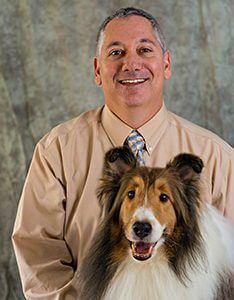 Kent has presented at numerous national and international veterinary meetings and won research awards from both the Veterinary Orthopedic Society and American College of Veterinary Surgeons. He is a member of the American Veterinary Medical Association, Veterinary Orthopedic Society and Veterans of Foreign Wars. An avid world traveler, food lover, mountain biker and skier, Kent enjoys his free time with his wife, daughter and three dogs.